everbuying.com - Stay away from that site! Discussion in Stores Reviews, Comments & Complaints started by addicted_buyer • Mar 28, 2012. I have shopped at Sammydress. The delivery takes a long time but I received everything I ordered. My only problem was I assumed since I am a medium in America, I would be a medium in China too. No way I'm more like a Xtra Large. I should have know better, however the quality of the clothes were ok. Yes i truly agree. i bought a few things on this site before. The customer service never replied after i paid. so i file paypal dispute. I then received reply claiming they are going to send shipment. They still don't process shipment after days and all of a sudden cancel my order,. I got refund finally however i wouldn't have dealt with them and wasted weeks of time on it if knowing they'd cancel the order. But will this unreliable company survive for long or be able to make big bucks with this kind of customer service, i doubt it. It's a waste of time and energy. But i do appreciate Paypal's help. Without paying thru paypal i might have got no refund or waiting forever for it. Paypal is a great way to protect customers. I feel sorry some reviews mention it takes long time to receive refunds. I am just lucky it didn't take that long in my case. I wonder if these companies also sell through Ebay? If they do, I haven't run into them yet. I buy a lot of stuff from Chinese sellers on eBay and I only had one item not arrive. When I contacted the seller in Kowloon, they resent the items. So far my my Chinese shopping experiences on eBay have been good. I know eBay sellers hate the Chinese sellers because they sell the same items cheaper so the US sellers lose business to them. But for buyers, there are some bargains to be had, especially with beauty items. My preferred sites to buy things in are Chinese. They have great prices and, if you know where to look, you can get good quality products (FYI, Chinese DOESN'T always mean a knockoff or a crappy product). So I bought a few things from different sites includying EverBuying.com. Small things. So these guys apparently shipped my products but I never got them. I asked them for a refund, they told me to keep on waiting. Did that, no luck. Complained again. No reply. So I started a PayPal dispute (I always pay with PayPal). EverBuying told me to wait even more. I escalated it to a claim and ended up getting my money back. I've also read so many reviews of people getting defective items. I bought from another site owned by them too, and got my items. The Micro SD card reader didn't work, and the other items were so crappy they didn't end up lasting more than a week. Bottom line, stay away from these sites, all owned by the same people. I never thought about shopping at sites like this a lot of them look a little sketchy to me but if you have any good sites that are worth it I would love to hear about those. As for these I don't doubt it at all a lot of sites are like this it's sad people mess over innocent people just to get their money. A rule of thumb is to stay away from the sketchy websites. They are usually hosted in China and have very ambiguous information for the site owner, etc. I have purchased some stuff on that site. I have not yet received my parcel & they still told me to wait. I asked for a refund. No reply. I paid through paypal & got a confirmation. As I claim to get back my money, To my astonishment, I couldnt find my transaction & paypal told me that I have not paid through it. So your transaction apparently was not a valid Paypal transaction even if you received a receipt? That's quite confusing and scary! How come you have a receipt but the receipt is not in your Paypal account? It must be a glitch! I have actually shopped at Sammydress and despite reviews I read that shipping took months, my package did come in less than two weeks. Surprisingly, expedited shipping was cheaper than the other shipping methods too. I've had a good experience there and although the quality was not great,it was as described. I plan to shop there again since they do have some really pretty dresses at decent prices. Customer service was also pretty good. They do get back to me in less than a day when I emailed them about my package. However, I am quite hesitant about other Chinese sites too since all I do hear is about long shipping times and defective or unsent items. I do see many wonderful items and clothing but I guess I will just have to read reviews before I commit to buying anything. 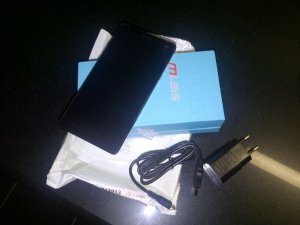 Not really surprised, China products are generally not that good, but i do recommend DealXtreme.com, that site is really good, being Chinese and all. Shipping is S L O W, but I did receive the items finally. I ordered a month ago and weeks passed before I heard anything from them--and it was only because I emailed them to ask the status. They said half my order was backordered and they were waiting for the items. I contacted customer service and they've refunded my order for the out of stock items. It's annoying that they don't inform you sooner that items are out of stock. Or that they just don't ship the in stock items ASAP instead of having you wait a month--I suspect so you won't request a refund. I don't think they're a scammy company, but it IS risky to order from overseas. It just seems like a lot can go wrong. Plus I think since the shipping is free, they don't treat it as a high priority to get them out in a timely way. At least they got back to my email quickly and refunded the balance that same day. They might be trying to do damage control for all the bad reviews they've received. Anyway, I finally received the In-Stock items today (exactly a month later). I still like the clothes and am generally happy about the items themselves, despite the wait. I recommend ordering Asian clothes via ebay, mostly because you don't have to bite your nails hoping it's not a scam. I've also had good experiences with the cheapasianclothes site. I've ordered twice from them with no issues, been able to communicate with an actual person via email, and they ship via DHL. It's not free shipping, but you still save $ in the end and, honestly, there's a tracking # and shipping time was way faster. Agreed. You do have to be a little thoughtful of reviews and other things, but overall I've had good experiences as well! I really worry coz of my experience with both DX and everbuying. Customer service is real slow and doesnot prioritize customers at their issues. I had tough time contacting them about my wrong orders and damaged product. Annoying!! I fear now to try any new online chinese stores. I run my own shop and i feel my previous store ChinaBuye service is far good and customer friendly and never had hazzle. Let me stick on to them and i would run my shop without interruption. Wondering if anyone had refund from DX or everbuying, as i lost hope if i would get any positive response from their customer support. Just to tell you that I've added the sites you've mentioned to the bad online shop directory. While I think it's great to share information to help people avoid getting scammed, I'm not so sure it's appropriate for you to list a site on a "bad" directory, if you've had no personal experience with the site in question. A seller's reputation is very important. If you harm that reputation without knowing for a fact that they have done something wrong, I don't think that's fair. I know nothing about the sites in question here, so I'm not defending them in particular. I'm just saying, I don't really think it's appropriate to post what amounts to a bad review, when that review isn't based on personal experience. Thank you all for the information!!! No matter where I am, I always look for a brick & mortar thrift store to buy things from, I simply don't trust any of the online sites, I need to look at and touch the item first, before I buy!! As I mentioned in the other post about SammyDress, I got some packages in my mailbox today. One of them was from EverBuying too. They used to have this Group Deals where you could buy items from them for a much cheaper price. I bought one and it never said it was shipped. Luckily, it seems it was - but this is from months ago! Yep, yep, yep..... I too have had this problem with SammyDress! I bought two different items within 3 days from one another. I received one package three weeks later and still have yet to receive the other. I tried to get help several times...sigh. I can not stress it more... THIS IS A BUYER BEWARE SITE! I love Everbuying.net - best site ever, new products, low prices and great deals... I love this site... honest people who do what they are writing. I buy and I will return to buy and recommend it to everyone. If you have doubts about something, just send an email and got a response within 24 hours. Hey there. I've had a similar experience with a similar site (lightinthebox). I'm glad you got your money back though. Paypal disputes (and claims) generally always work in your favour. I've learnt my lesson to read reviews about the website before buying from them. i dont agree with most members, i was introduced to everbuying.net by a friend two years ago and since then i have been recommending them to all my friends. I buy stuffs like watches, necklaces, headphones, memory cards and make alot of profit when i resell them here in africa. Customer service has always replied me after 24 hrs and i receive my items promptly at my doorstep through DHL. I have spent over 300 dollars on this website and intend spending more because to me its simply the best online store out there! Honestly, I was going to buy a tablet from them, but I was smart, and did a search for them online before I did. I read so many negative reviews about them, I decided aganist it. They might as well hang it up. You don't recover from a bunch of bad reviews and recover without throwing out some HUGE goodwill.